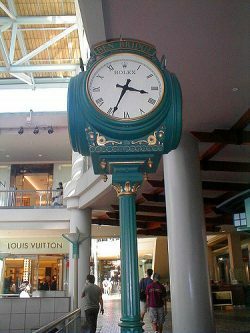 I was just standing there at the base of the clock on the second floor of the Ala Moana Shopping Center. I was passing time by leaning against the post that holds the four directional facing clocks. I had one hand up to my chin, as I was lost in thought about a chapter of the novel I was writing. She breathed a few times slowly, her eyes never leaving mine. 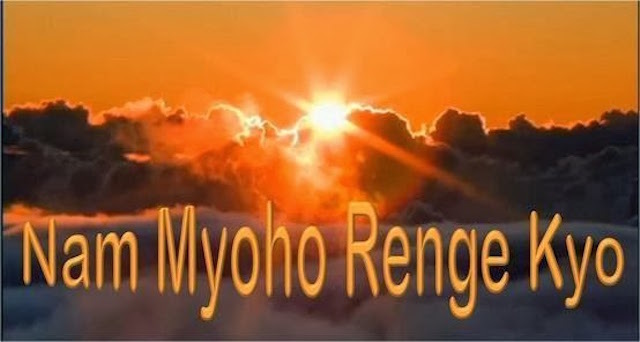 “If your are the one who knows everything then you must know what the meaning of ‘Nam-myoho-renge-kyo‘ is. I had coincidentally in my past studied the Buddhist religion for a bit and remembered the teachings. “It means that the wisdom of the mystic laws apply to all living things.” That was the closest I could remember. The old lady reflected for a few seconds. “Indeed, you are the one who knows everything.” I thought that was the end of the exchange but she went on, “What does the rest of my day hold in store for me?” she asked. I didn’t know what to say. I was out on the end of a diving board and worried that I could see no water down in the pool under me. “That the remainder of the day will be filled with goodness and light,” I said, with as much serious conviction as I could muster. The woman literally turned and ran to a younger woman waiting in the distance, yelling “I told you.”. I thought, in a relieved fashion, that that was the end of it, but no, God had other plans. I waited but God did not answer, so I drove off.